It doesn’t take an expert to realize that flickering lights signal a problem with your lighting system. The good news is that’s it’s not an uncommon problem and a trained expert can help you resolve it promptly. But what exactly do flickering lights mean? And how much can you tell about the issue based on the particular details of your situation? Contact a Hartford lighting specialist at Electrical Connection to determine exactly what is causing your lights to flicker. The first thing to ascertain is how many of your lights flicker. If the flickering seems confined to one particular area of the house, or one electrical outlet, then you’re probably looking at a problem with a single circuit. It can be an easy fix, like changing a light bulb in some cases, or it can be more complex, involving a loose wire in the circuit that needs to be pinpointed and corrected. Regardless, the location can help an electrician identify the basic source of the problem. Similarly, if the lights flicker when a large appliance turns on (like your air conditioning system), the problem may stem from that appliance’s need to draw upon a great deal of power to start up. A trained electrician can correct the issue, either by ensuring that everything is properly connected to your electrical system, or, if that is not the problem, by installing a soft-start kit in your air conditioning system to lessen that impact. In cases where the lights flicker throughout your house, or the flickering lights take place in random locations, it may suggest a problem in your meter base or electrical panel. The service conductors may be loose: an issue which requires immediate attention from a trained service technician before it causes damage to your main breaker or other components. 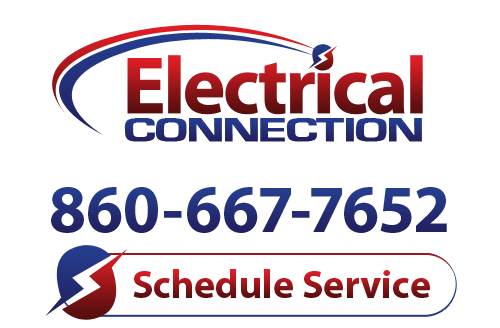 In Hartford, lighting problems can be addressed by the experts at Electrical Connection. We’ve served the whole of Connecticut for over 25 years and offer free estimates on lighting repair and installation services. If your lights are flickering and replacing a bulb isn’t doing the trick, give us a call today to schedule a visit.